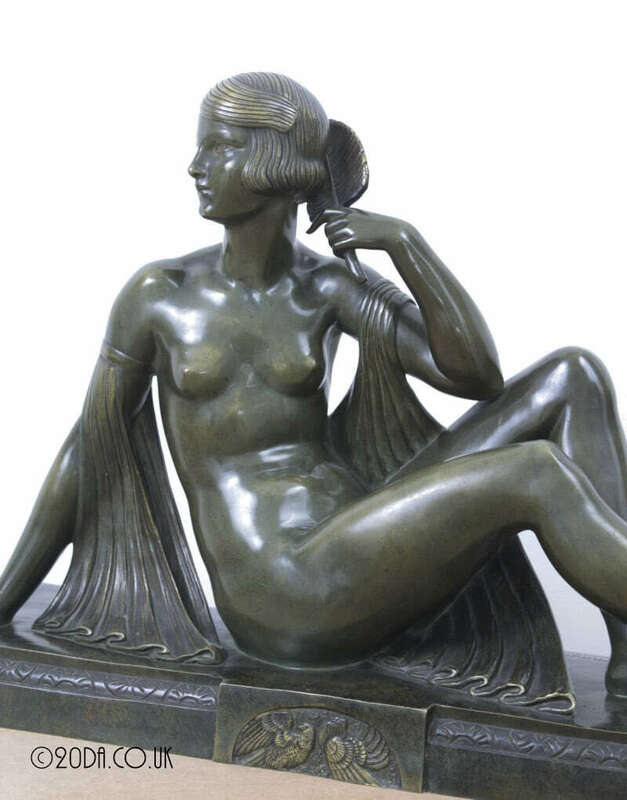 A stunning and large Art Deco bronze sculpture by Joseph Emmanuel Descomps circa 1920's entitled Meditation, edited by Les Neveux de J. Lehmann - Paris, depicting a stylish reclining figure. 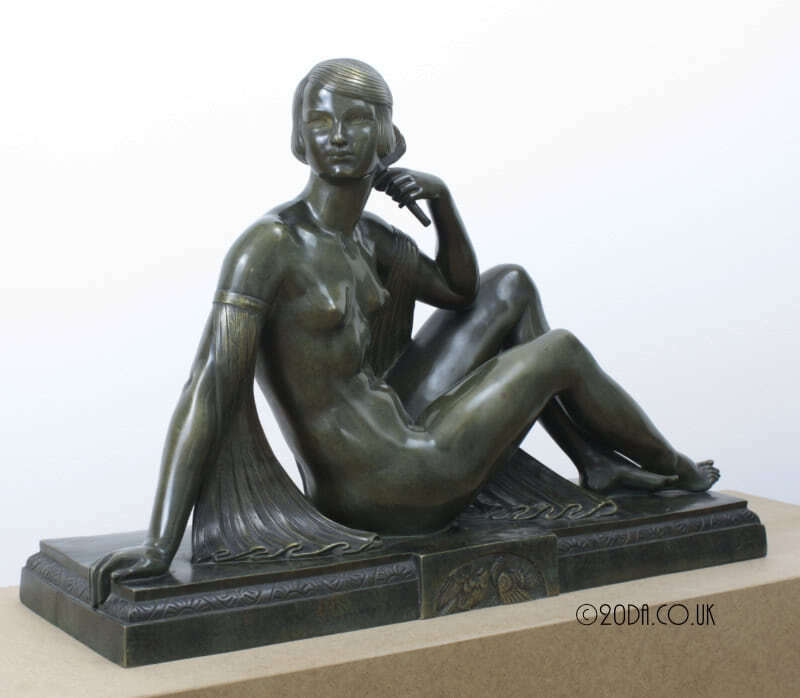 This was edited in three mediums, bronze, ceramic and terracotta and the page above is a scan from the original foundry catalogue with this bronze being the largest they produced. Joseph Jules Emmanuel Cormier (Joe Descomps) (French, 1869-1950). Joe Descomps studied under Hiolin. 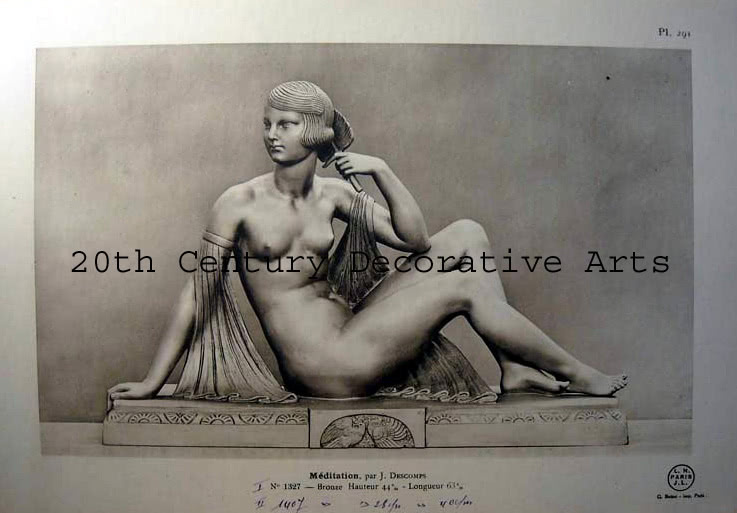 He exhibited regularly at the Salon of the Societe des Artistes Français, and designed and executed a wide range of objects in the Art Nouveau and art deco style, including jewellery, sculptures in bronze, stone, and ceramics. 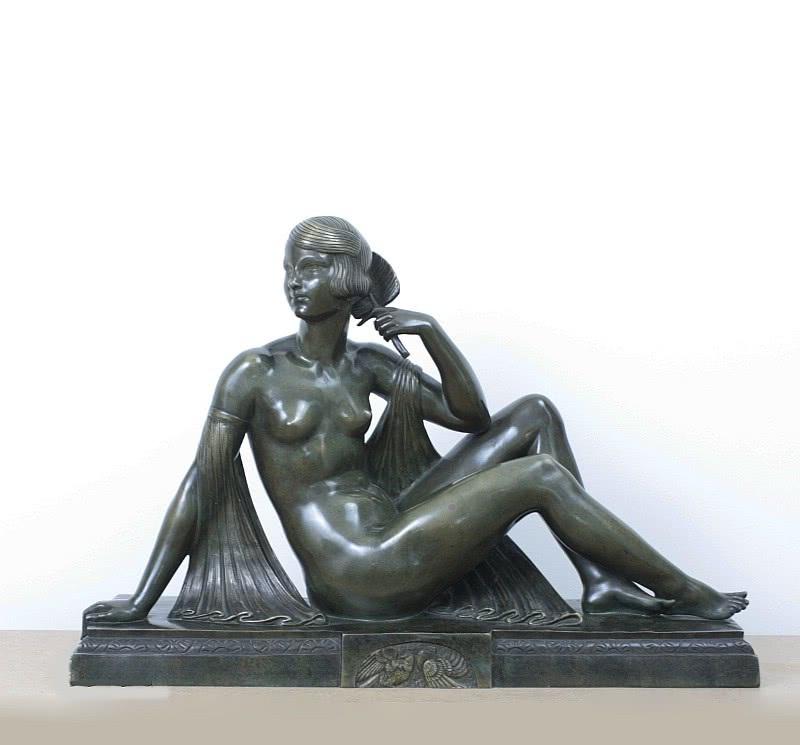 In the 1920s he concentrated more on small-scale sculptures, mostly in bronze and bronze / ivory.